In 1939, an excavation underneath Piazza del Campidoglio discovered an almost completely obscured ancient Roman building. This ancient Roman building is identified as the temple of Vejovis, one of the oldest of the Roman gods. In the same area, an asylum was also found. 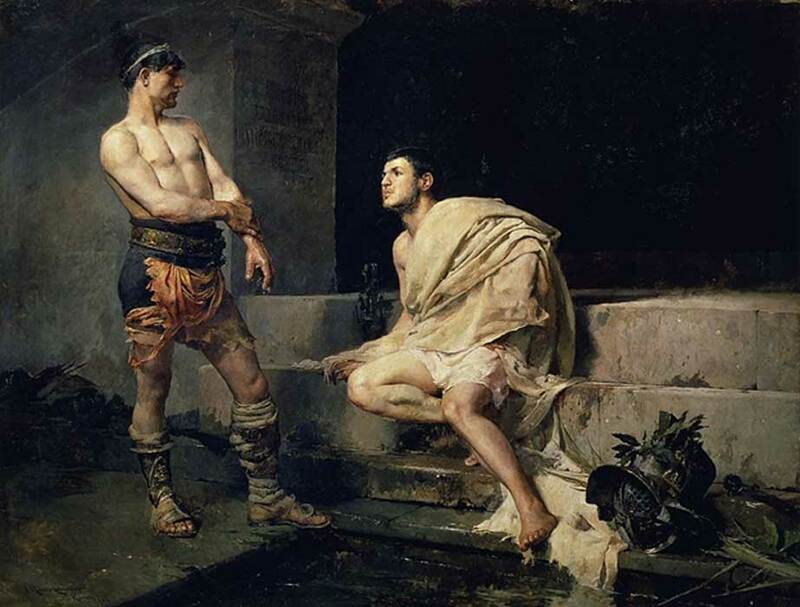 Ovid (circa 43 BC – 18 AD) implies that the temple had already existed since the time of Romulus, and it was in this asylum that Romulus extended hospitality to refugees from other parts of the Latium region in order to populate Rome which, at the time, was a new city. In Fasti, Ovid writes: "When Rolumus surrounded the grove with a high stone wall, “Take refuge here,” said he, “whoe’er thou art; thou shalt be safe.” O from how small a beginning the Roman took his rise! How little to be envied was that multitude of old!” The chief feature of this temple, not shared by many other Roman buildings, probably due to the very limited space available, is the transversally-elongated cella, its width almost double its depth at 15 by 8.90 meters (49.21 by 29.19 feet). Another interesting feature of this temple is the marble cult statue of a beardless young man, carrying a bundle of arrows in his right hand and accompanied by a goat. Not much is known about this mysterious youthful god. His name, Vejovis, has long been eclipsed by many other youthful Roman gods such as Apollo or Bacchus, and he does not appear in nearly as many stories as Jupiter, Venus or Neptune. 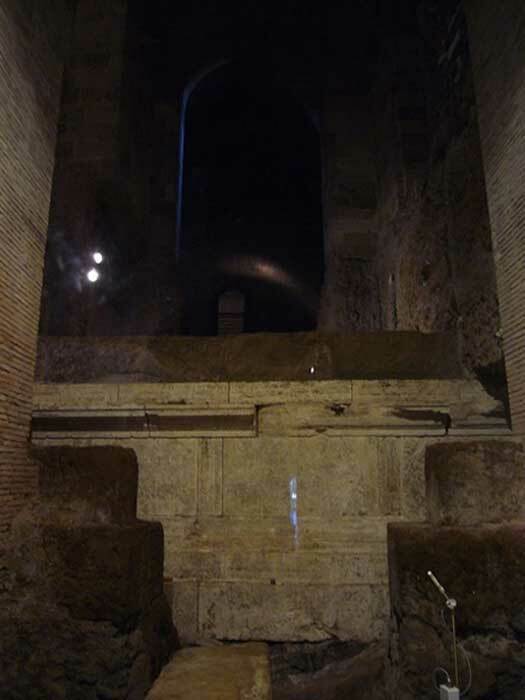 However, Vejovis was apparently an important enough god to be worshipped at Bovillae in Latium, as well as having temples erected for him in Rome, on the Capitoline hill and on the Tiber island. Dates of celebrations for Vejovis are also known as January 1st, March 7th, and May 21st. Unfortunately, nothing definite can be found in relation to the nature of these festivals as well as the rest of the god’s cult.